Stock market analyst Rahul Mohinder has maintained 'buy' rating on HDFC Bank stock with target of Rs 301 in 1-2 trading sessions. According to analyst, the investors can buy the stock at Rs 288-290 with stop loss of Rs 284. Today, the stock of the bank opened at Rs 293 on the Bombay Stock Exchange (BSE). Current EPS & P/E ratio stood at 15.72 and 18.50 respectively. The share price has seen a 52-week high of Rs 304.70 and a low of Rs 150 on BSE. On the back of sturdy core income growth, along with lower provisioning for bad loans, YES Bank recorded an increase of 56.3% in its net profit at Rs 156.4 crore during the Apr-jun quarter. Bank's loan book growth stood at 107.2% that together with declining cost of funds aided net interest income surge 67.1% in the period. Net interest margins remained steady at 3.1%. Non-tax provisioning declined to Rs 12.56 crore as against Rs 45.53 crore as asset quality perked up with NPA declining to Rs 59.7 crore as against Rs 61.4 crore and net NPA from Rs 30 crore to Rs 11 crore. 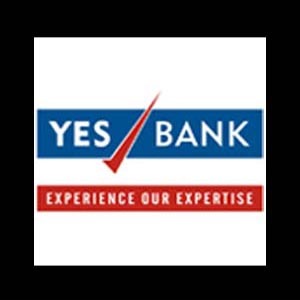 Yes Bank is lifting up funds Rs 5 billion to fuel its business expansion. Yes Bank will lift Rs 5 billion from bonds by September 2010.